édité le 30/10/2015 - Plus de news de "CHEVRON" - Voir la fiche entreprise de "CHEVRON"
Chevron Corporation announced the successful appraisal of the Anchor discovery in the Lower Tertiary Wilcox Trend. “The positive results of our appraisal work at Anchor indicate a significant discovery of potentially hub class scale.” said Jay Johnson, executive vice president Upstream, Chevron Corporation. 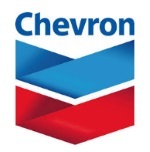 Chevron Corporation (NYSE: CVX) is one of the world’s leading integrated energy companies. Through its subsidiaries that conduct business worldwide, the company is involved in virtually every facet of the energy industry. Chevron explores for, produces and transports crude oil and natural gas; refines, markets and distributes transportation fuels and lubricants; manufactures and sells petrochemical products; generates power and produces geothermal energy; and develops the energy resources of the future, including biofuels. Chevron is based in San Ramon, Calif.